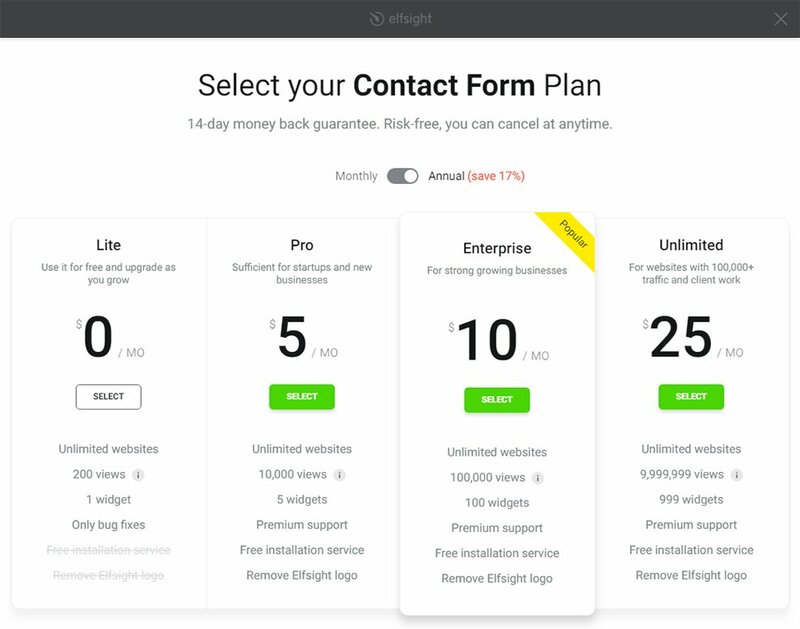 Elfsight Contact Form – is easily manageable in setting and creation tool to build contact, response, and and all other types of forms without skills in development. BONUS: Generate customized contact form right here! 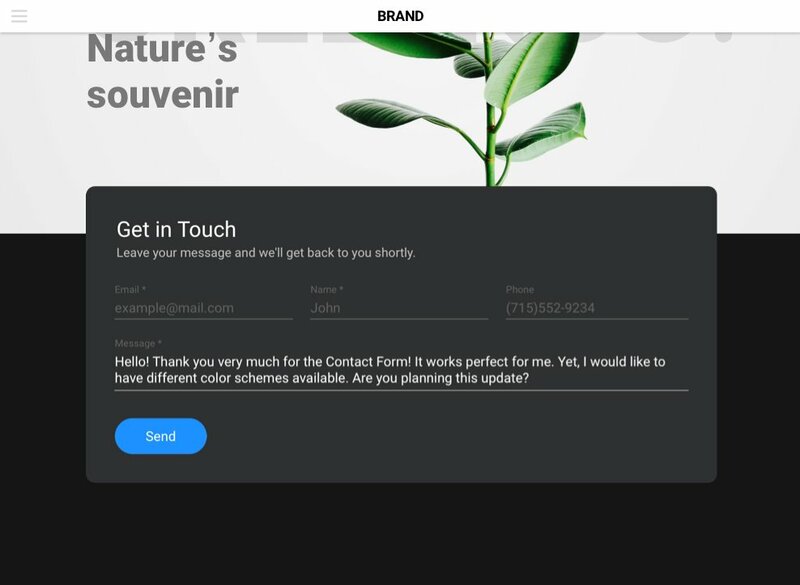 Elfsight Apps Contact Form is an easy and extremely adjustable plugin allowing to create any type of contact form. If you are searching for a user-friendly tool, which will boost visitor responses and raise your conversion rate – this plugin is definitely for you! Stay in touch with customers 24/7, receiving feedback on requested email and get more leads for your business! Installation of our plugin is ultimately simple and intuitive; it will take just two minutes. Follow all steps described below to create a plugin. Follow this link (Live Editor) to create a module. Pick the pattern and display settings to create the module that will suit your site best. Or find out more on product page. After your module is ready, pick out your subscription plan. We offer free and paid plans to suit any needs. The finishing step in setting up Elfsight form is to receive the product html code. Pin your contact form to one of the pages. Enter admin page of your website. 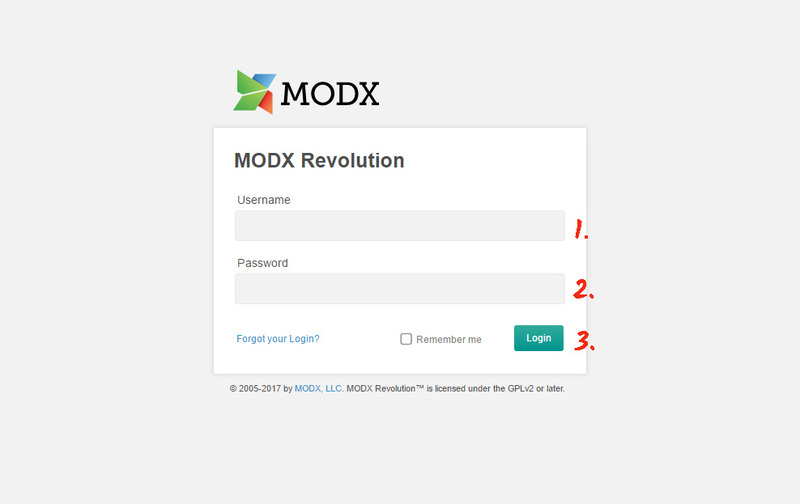 In the left-side menu, in «Website» tab choose the page to insert the module. 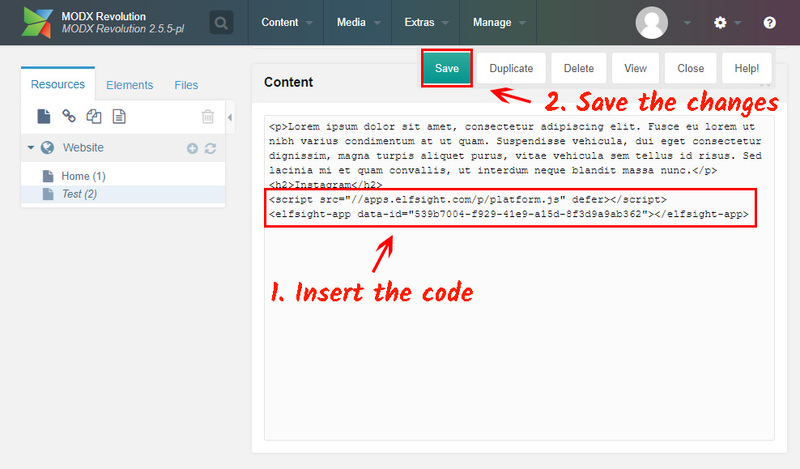 Add form code to the content of the page and save it to apply the changes on the site. Visit your site to check the settings. Popup form can be added to each and all pages of your website. For further steps, get logged into the admin panel. 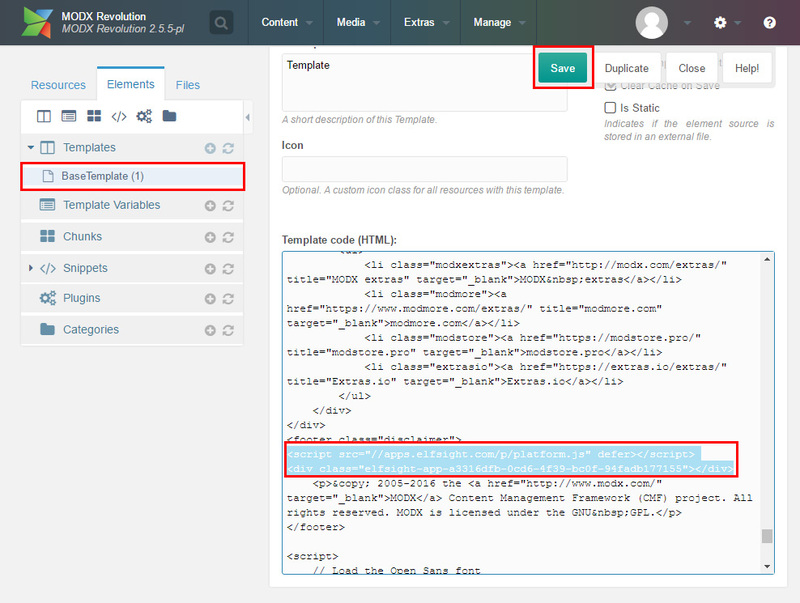 In the menu to the left, find the «Base Template» link. Enter it, paste the form code, and save the result. Go to your website to see the result. 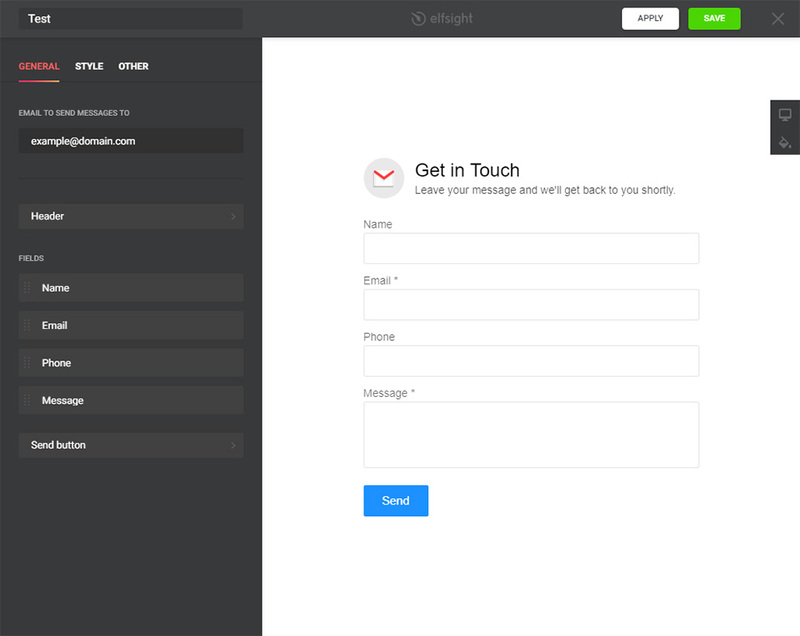 Following the installation of the plugin, all settings of the form can be changes on Elfsight Apps. Altering texts, choosing another look or type of displaying and all other adjustments, made in the editor, will be at once displayed on your site. Also, in your personal Elfsight profile you can test new ModX plugins and display them on the personal resource for free. Generate a customized Contact Form right here! Free live editor for creating plugins fast and easy.